Austrlia will travel to England next year for the World Cup and the Ashes. 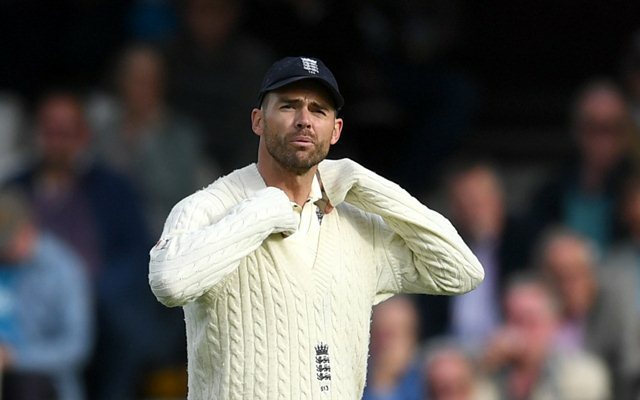 England fast bowler James Anderson said that Australia’s cricketers have often ‘tried too hard to be aggressive’ as they sought to live up to what is stereotypically expected from them. England and Australia form one of cricket’s oldest and most notorious rivalries. It’s England who have most often faced the harshest of Australia’s aggression. However, this approach from the Aussies culminated in three of their players, including skipper Steve Smith and opener David Warner, being slapped with a year-long ban. The controversial trio was caught up in the ball-tampering scandal during a Test match in South Africa, an incident which rocked Australian cricket in 2018. A few months ago, in the build-up to the 2017-18 Ashes Down Under, Australian off-spinner Nathan Lyon said he hoped his side could “end the careers” of several opponents. England also claimed that in 2015, all-rounder Moeen Ali was called ‘Osama’ by an unnamed Australian in the Ashes series played that year. Australia carried out an investigation into the Ali incident, but it was closed last month after they could not find ‘any new additional evidence’. For Anderson, who’s been a vital part of England’s side for the last 15 years, the memory of these difficult periods is still afresh. Speaking to the BBC, Anderson said, “They have tried too hard to be that stereotypical Australian team that are aggressive and go hard at people.” But the 36-year old also went on to share his personal experiences of dealing with some of the Australian cricketers off the field, saying, “Mitchell Starc is not naturally aggressive despite being a fast bowler and even Steve Smith is a really good bloke – there is no real malice with anything he does – so it was really out of character.” Anderson also mentioned that Australia’s current skipper Tim Paine was ‘a genuinely nice guy’. Australia will be visiting England next year to defend their World Cup title in the 2019 ICC Cricket World Cup. They will also look to retain the Ashes after they thrashed England 4-0 in the 2017/18 series.